Dance has the ability to connect us in ways unlike any other form of artistic expression. Each intricate movement communicates a message and invokes a unique emotion. Dynamic duo, twin dancers, Al Taw’am, introduced their signature dance techniques and movements to Atlanta during the final Sacred Cypher Creatives artist residency of the inaugural 2018-19 cohort. 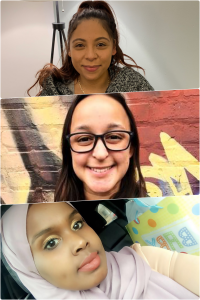 Their residency, titled “Bridges,” used dance to nurture connections to self, community and family through workshops that celebrate diversity of movement. 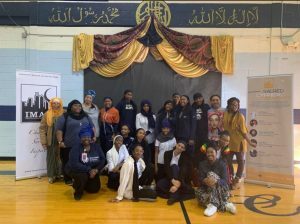 Al Taw’am facilitated inspiring workshops, which connected contemporary and vernacular hip hop dance to their West African roots, for high school students, college dancers, and elder attendees in an inviting, warm and engaging way. 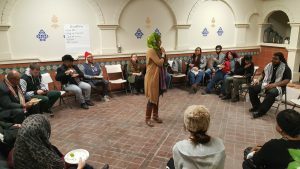 Many participants found a deep sense of community during these intimate workshops, and some even shed tears during closing reflections. 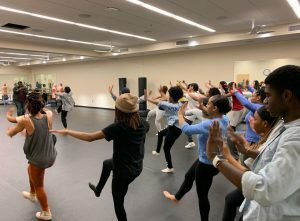 A Spelman College freshman shared how she felt like she was finally at home in the dance studio, as she’s struggled to become acclimated to a new world on campus. During the Community Movement class, participants reflected on the feeling of liberation and confidence as they related to their bodies in new ways. Finally, the “Umi (Mommy) & Me” workshop, was an open space for generations of mothers, grandmothers and children to learn from each other and bond through collective choreographed movement. 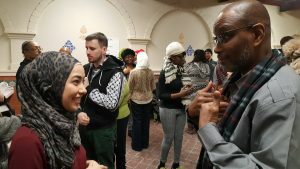 In a time when our communities are being divided with hateful rhetoric and polarized by unjust policies, Al Taw’am used dance to connect Atlanta residents across cultures, faiths, and backgrounds. Special attention was given to intergenerational unity, bridging the gap between the youth and their elders. Learn more about Al Taw’am’s residency here. Finally, the twins culminated their ‘Bridges’ residency as featured performers at the first CommUNITY Café of the year, kicking off the 2019 ‘Celebrating the Sacred Cypher’ series in Atlanta. The Café, held on January 26th at the Washington High Performing Arts Center, also featured IMAN Roster Artists Maimouna Youssef, Amir Sulaiman, Al Taw’am and K-Love The Poet. Through their performances, all of the artists invoked the artistic, cultural, social, and spiritual history of the symbolic ‘Sacred Cypher’, the theme which will connect all CommUNITY Cafés in 2019. Join us at the upcoming Cafés: March 30th, June 29th and October 26th in Chicago, and August 31st in Atlanta!